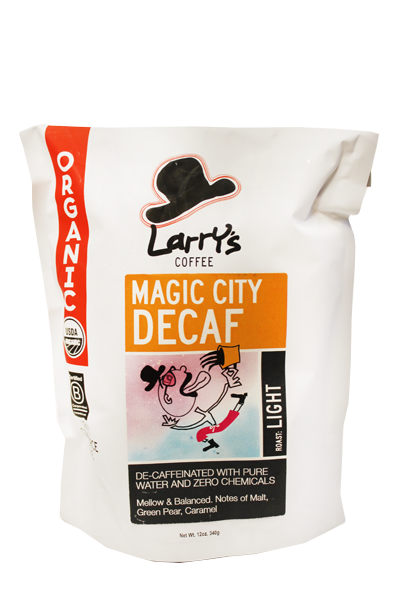 FULL FLAVOR DECAF. Processed with pure water and zero chemicals. Smoky & Earthy.